Observation - House martin - UK and Ireland. Description: House martin building its nest under the eaves of the B&B we were staying in. 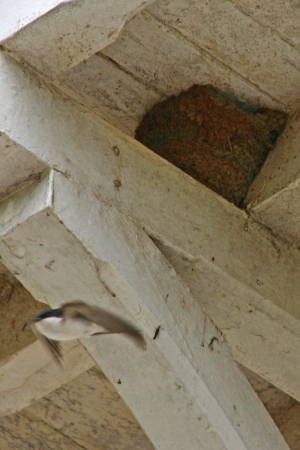 House martin building its nest under the eaves of the B&B we were staying in.